When I am writing on all festivals and discussing everything happening around, I could not stop myself writing on Indian Republic Day. A day when constitution of my country India came into execution. 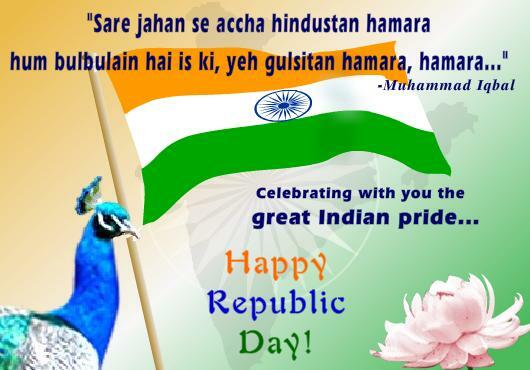 This is the reason why Republic Day is celebrated in India on 26th January and history behind republic day of India. This year it holds special significance as Indians have accepted a clear stable government after more than 30 years and called for a change. One more reason of significance is welcoming American President Barack Obama for Republic Day celebration as a chief guest. It is a real moment of pride for us as Indians, as now we are not the country of snake charmers and whole world has started respecting us and talents from our nation. As a citizen, we are planning to create awareness to respect our culture and nation by inculcating the same ideas in our 4 year kid. We are taking him to saw parade and local celebration of Republic day. Today, simple words from me to respect the nation can bring a responsible citizen of tomorrow. On this day, to make India a better place, it is a humble urge to all citizens to support the Swachch Bharat Abhiyan. The most basic need is to educate your kids to keep the city clean. While telling my kid, not to throw any wrappers on road, I find many faces feeling shameful of their already done deed. And I can see them next time staying aware. Save the Girl Child and Respect females should be few more agendas that needs lots of attention and awareness among the people. Vasudhaiv Kutumbkam – We respect every religion of the world and all in the world and same we do to our people. We should make it a point to share such inspirational quotes and videos with due respect, with our kids to inculcate in them the true feeling of being Indian. You can also download HD images and wallpapers from the galleries, but don’t just make it a day to publish, but to feel the real citizen of the nation. 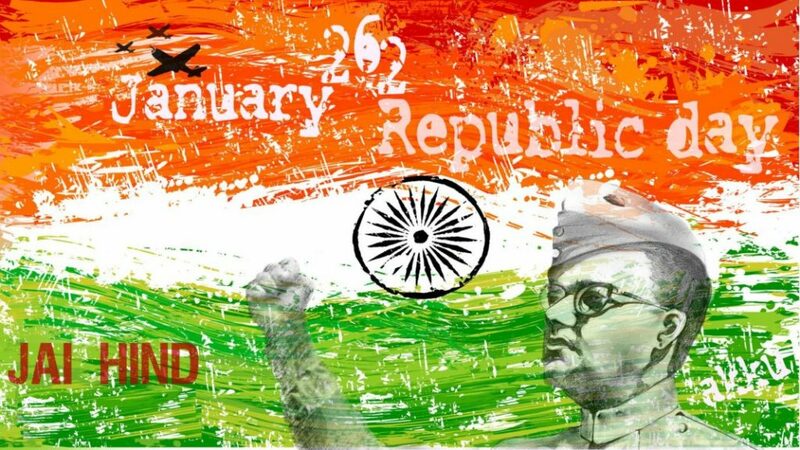 Free HD Posters, wallpapers, images and graphics on Indian Republic day can be downloaded from internet but only felt by heart. We should be proud to know and learn that Indian constitution is the world’s most precisely written and accepted constitution. Dr. Baba Saheb Ambedkar is writer of Indian constitution, which came into practice on 26th January, 1950. This day remarks India as completely independent nation having there own rules and regulations, completely free from slavery of any nation and free to take its decision on its own.